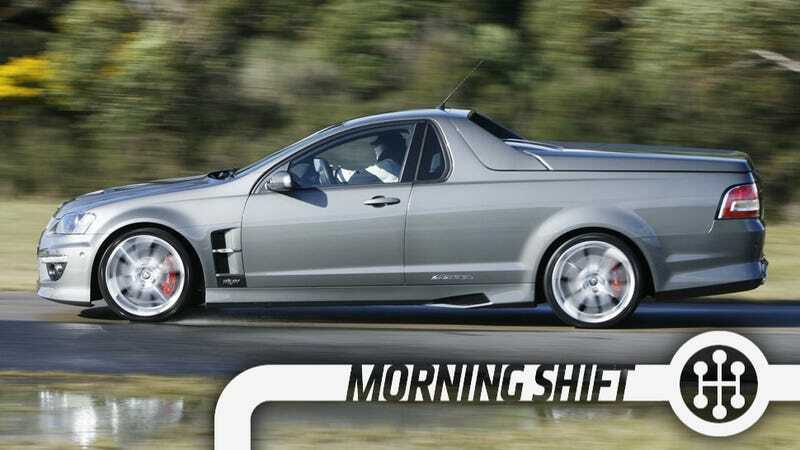 As we told you very early this morning, GM has decided to phase out all manufacturing in Australia by the end of 2017. It's another big blow to Australia's car industry, since Ford announced there would be no more Australian manufacturing of their cars as of 2016. That means the two home-grown nameplates, the Ford Falcon and Holden Commodore, will no longer be home-grown at all. The Falcon will likely move to a global front drive platform while production of all Holdens will move elsewhere. And Holden's decision to leave could have a ripple effect on the last player in Australian manufacturing. Toyota warned yesterday that a no vote on a union workplace agreement would send "a very strong message to our parent company that we are not serious about transforming our business". "This will put our ability to continue building cars in Australia at serious risk," a spokeswoman said. And this was before Holden officially announced that they were on the way out. Don't be surprised if Toyota leaves Australia, which will then send their manufacturing business into crisis. 2nd Gear: Is The Next Ford F-150 Getting Delayed? A report from our friends at The Truth About Cars says that the new Ford F-150 is facing a three month delay because of aluminum issues. Supplier sources tell TTAC that the next F-150 will be using a generous amount of aluminum in its construction, and that's the issue. The delay with the material, that just isn't quite up to snuff, could be as many as 10 weeks. That's a setback, but not the end of the world. It's that time again. I know, you're al excited. It's time for the North American Car and Truck Of the Year, or NACTOY for short. What's good is that they actually got the finalists right this year. On the car side, we have the Mazda3, Chevrolet Corvette, and Cadillac CTS. These are three of the best cars that I drove this year, so I can't argue against any of them getting the nod. Though I am concerned that the McLaren MP4-12C Spider didn't make the cut. The truck side has one actual truck, the Chevy Silverado, and the Jeep Cherokee and Acura MDX, which are technically crossovers. I can't see the Cherokee winning, just because of all the delays that have occurred with it's automatic transmission. That's a botched launch if there ever was one. 4th Gear: Will BMW Build Engines In The USA Or Mexico? BMW already builds cars in Spartanburg, South Carolina, but it sounds like they might start building engines over here too to account for more demand. They've been notoriously secretive in the past, with engine manufacturing staying in Germany until last year. That's when they started making some in China to supply their local sales there. Seems like a natural fit. BMW should decide on the plant in the next year. Yep, it's time. We reported it in August, but this month is the last month of production for the famous VW Microbus. The Kombi is still built in Brazil, but after 56 years, it's saying its final goodbye. Sure, we haven't had it in years, but this is still quite sad. On December 11, 1962, the New York City Board of Estimate unanimously votes against a plan for a $100 million elevated expressway across the bottom of Manhattan. The road, known as the Lower Manhattan Expressway, had been in the works since 1941. It was supposed to link the Holland Tunnel on the city's West Side with the Williamsburg and Manhattan Bridges on the east side, slicing right through the neighborhoods now known as TriBeCa and SoHo. What do you think about the future of the Australian auto industry? Will they bounce back? What does this mean for us and cars like the Chevy SS?